iNetGolf, LLC to offer an end-to-end digital marketing solution for golf courses and other golf industry organizations. From a state-of-the-art booking engine, responsive web-design, and distribution, golf clients can increase and measure their digital footprint. iNetGolf, LLC is an industry leader in the production of online golf content. 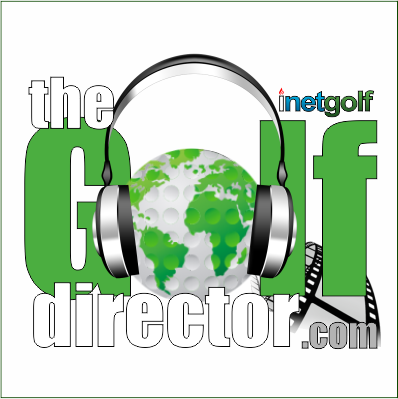 Through their digital network TheGolfDirector.com, the company produces over 1500 online radio, TV, and associated articles and blogs annually. In 2014 iNetGolf added a golf vacation (packaging) division. The company also develops, manages websites, and provides digital marketing for the golf industry. New, for 2016, iNetGolf created a strategic partnership with Quick18, a leader in Mobile, Website, and Marketing solutions for the golf industry. Through Quick18, iNetGolf will offer The Quick18 state-of-the-art online booking, tee time management, and player engagement technology. “We are now able to offer golf courses and other members of the golf industry an end-to-end digital solution,” remarked iNetGolf President, Jeff Gilder. “Too many golf course representatives have the mindset that online booking and mobile are such a small percentage of their business, they do not need to commit resources in that area. If they are not seeing significant growth in online tee times they do not have the right tools in place and are missing business." “The digital toolbox from Quick18 gives the courses everything they need from rate controls to database management and player engagement,” remarks Harbaugh. “Up until now, there were pieces of the puzzle out there being offered a la carte, but at iNetGolf we’re able to bundle tools, marketing, and distribution into one comprehensive offering.” Quick18 is a leader in innovation and continues to develop products and tools at a speed that others cannot match. “We understand that giving the golf operator the easiest and most effective way to generate more revenue at their golf course is the best strategy at hand. We do this while staying ahead of the curve in software development. Quick18 was built on the philosophy that the golf course comes first. Direct bookings is the only sustainable option for the golf course owner and operator,” remarked Owner and Founder of Quick18, Brett Darrow. Unique to iNetGolf is the ability to provide the technology, create the marketing message, and to distribute the message to an all-golf audience. Since 2012, iNetGolf’s TheGolfDirector.com has been able to engage golf enthusiasts in over 175 countries, all 50 United States and nearly 30,000 cities. For more information visit their websites at http//inetgolf.com, http://thegolfdirector.com, and http://quick18.com.